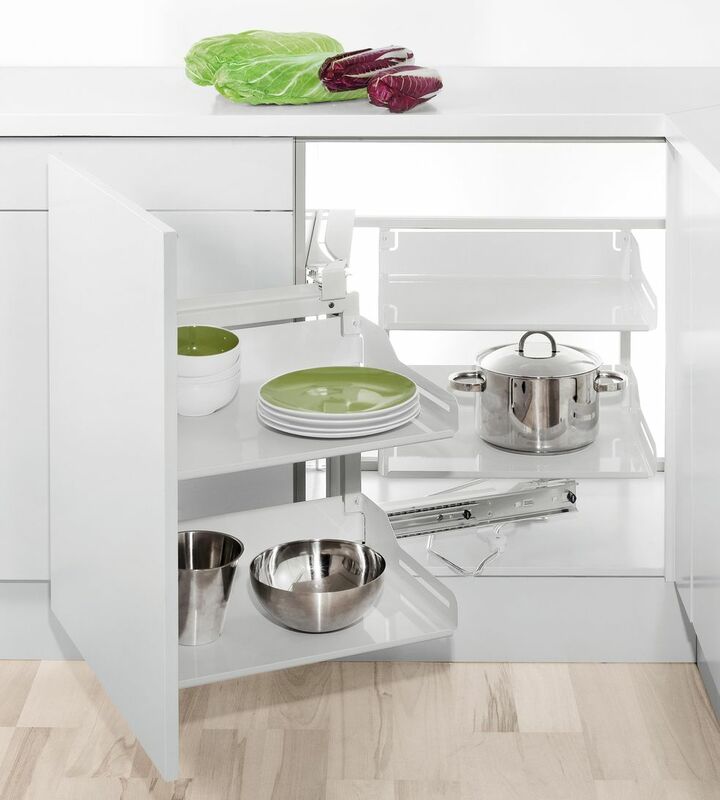 Nothing is out of reach and even the smallest unused spaces around the house can be maximized with slick, self-closing kitchen storage system designs by Peka. 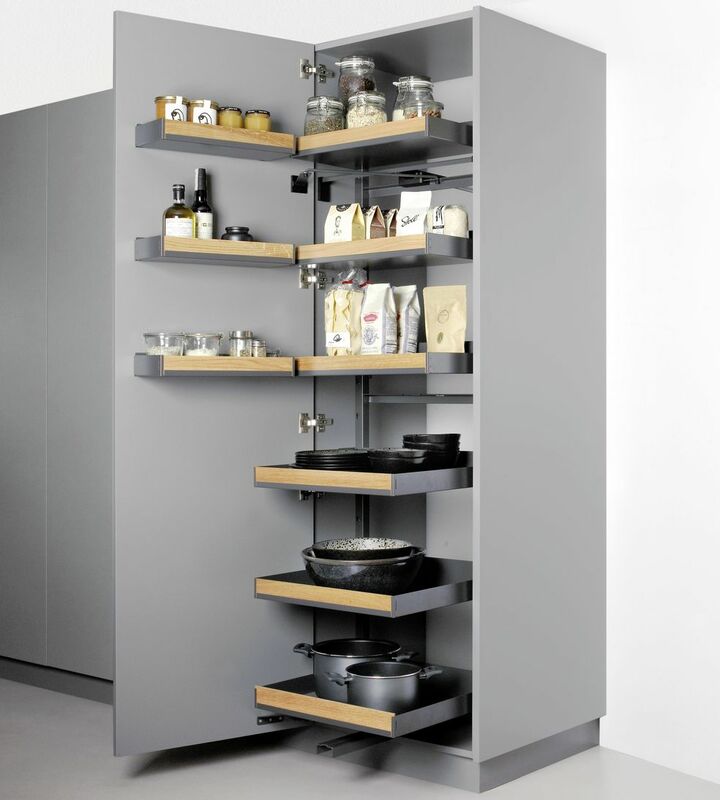 Made of laser-cut steel, this durable system of pull-out kitchen organizers for various niches and cabinets features glass side walls so you can see everything at a glance, shelves with infinitely variable height adjustments, and magnetic dividers. 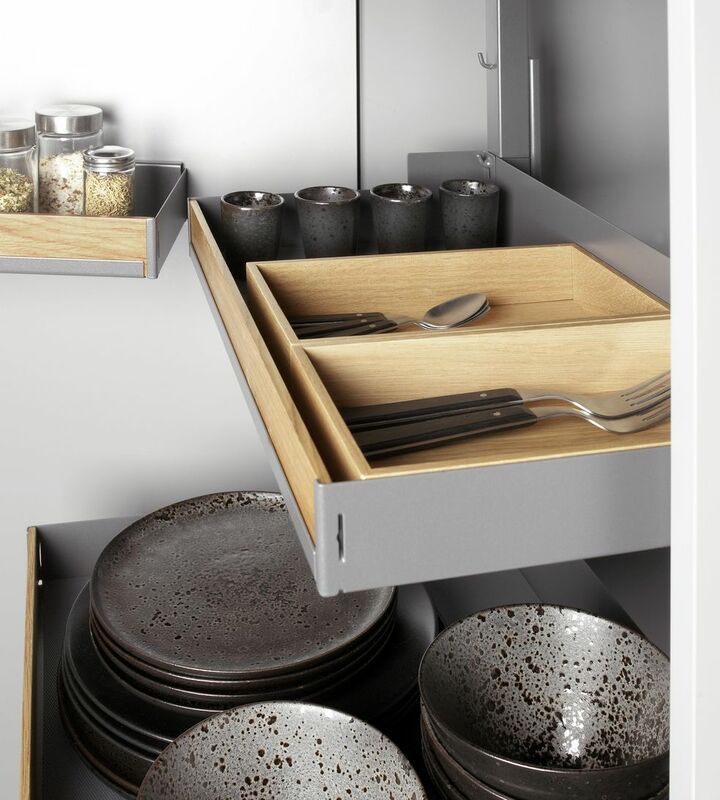 Welcome to the easiest way to “KonMari” your kitchen and keep it that way. 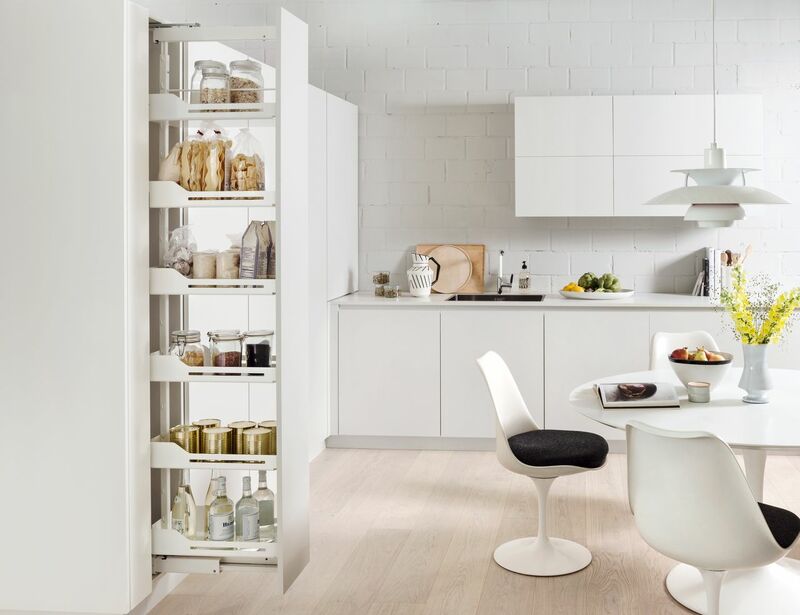 Instead of reaching into the depths of your pantry with a flashlight to find nearly-forgotten canned goods, for example, you could pull out the shelves in one motion to see the entire contents at a glance and access every corner. 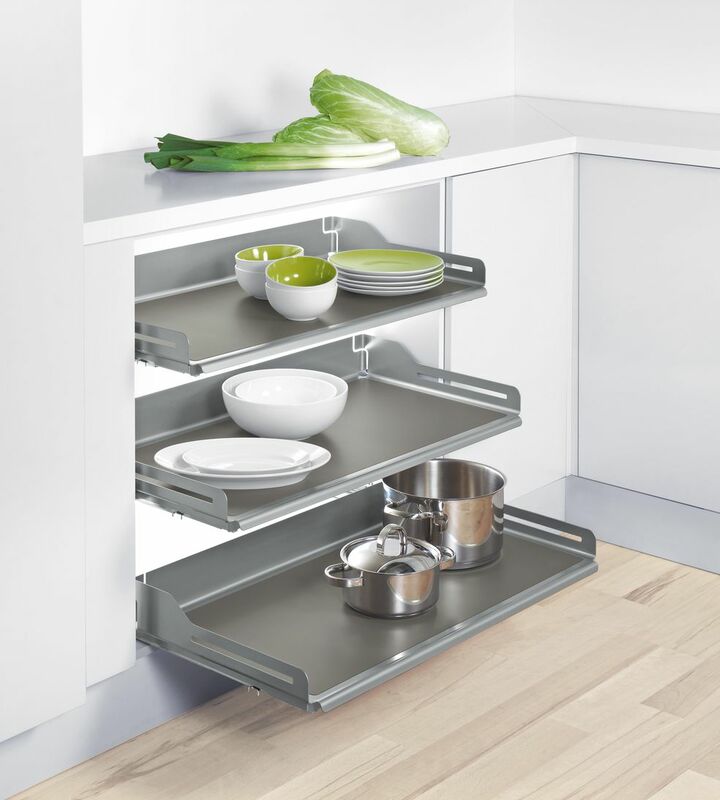 Wall-mounted organizers use vertical space wisely while narrow pull-outs use the slim space found beside dishwashers and in other areas of the kitchen. When everything is so easily accessible, you’ll spend a lot less time on your knees half-crawling into your cabinets only to be rewarded with a sore back later. 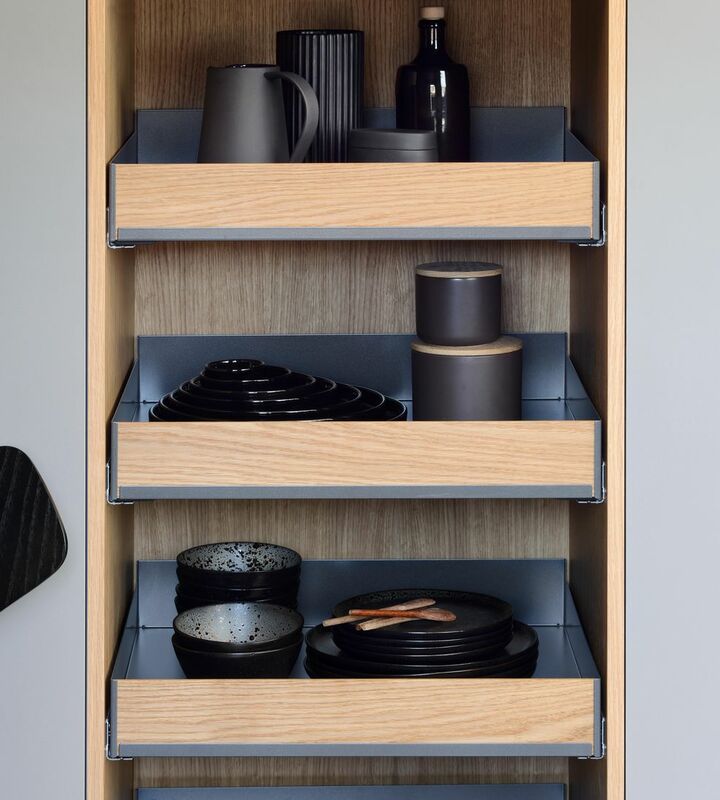 Each organizer clips into a series of guide rails that are installed inside the cabinet or niche, and features a silent soft-opening and closing system that glides the shelves back into place after you’ve pulled them out, ensuring that even fragile glassware is protected. 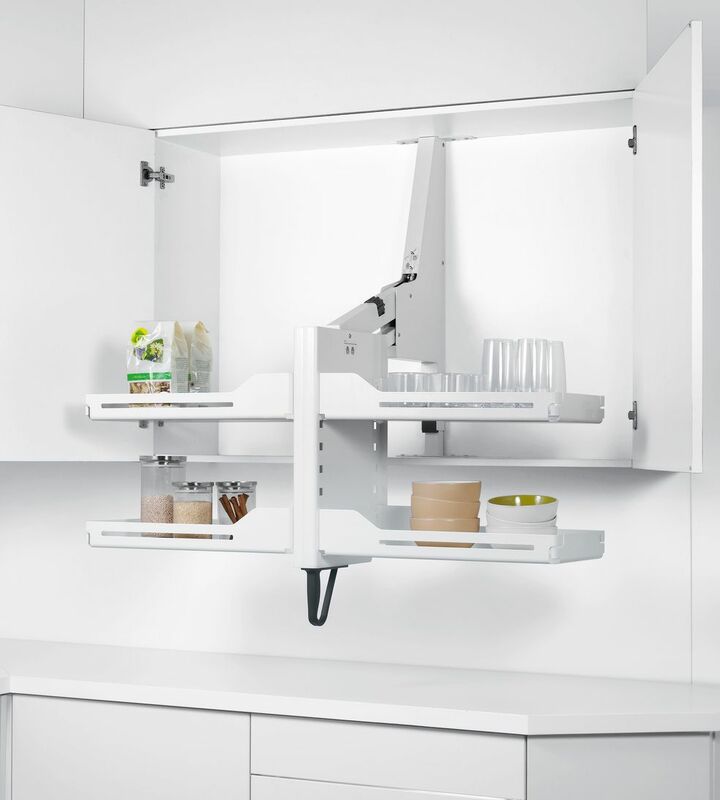 One multi-use pull-out shelf system could be used for anything from cooking pans to dress shirts, while a broom-cupboard organizer offers sliding hooks and clips for vacuum hoses. 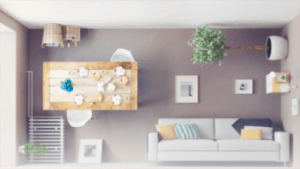 While Peka products are widely available in Europe, they’re only available through a single distributor in North America. 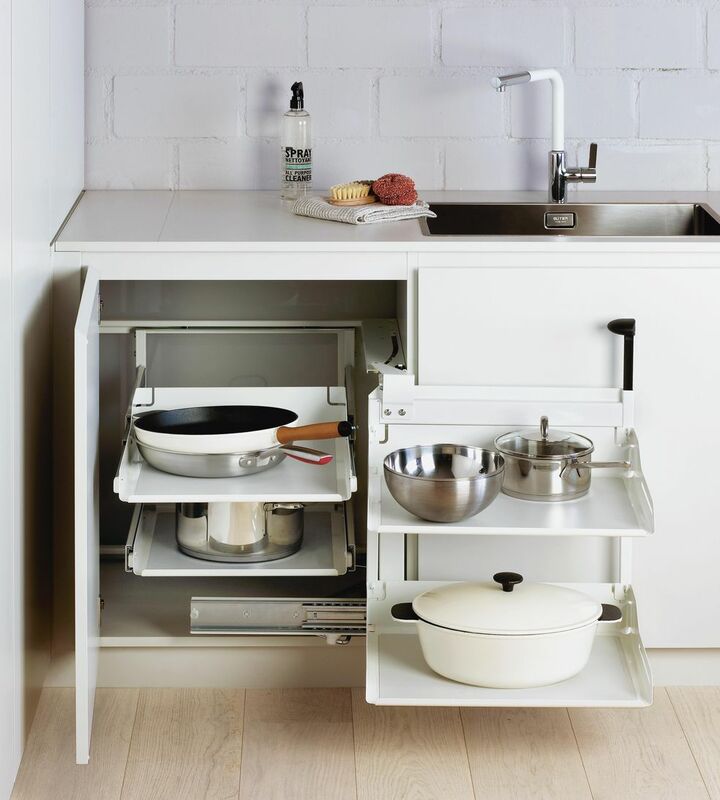 Because when it comes down to it, you can pretend to be Marie Kondo for a few days, get rid of half of your possessions and organize literally everything you own in nothing but shoeboxes, but space-saving kitchen organization systems like Peka’s make the process a heck of a lot easier.